Spring into life. Donate Blood! 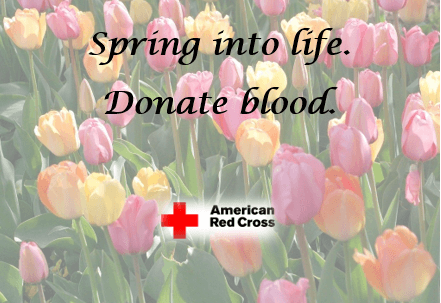 The American Red Cross will hold a blood drive on April 18th in the Community Room. To schedule an appointment call 1-800-RED CROSS or visit redcrossblood.org, sponsor code: RichlandMall.